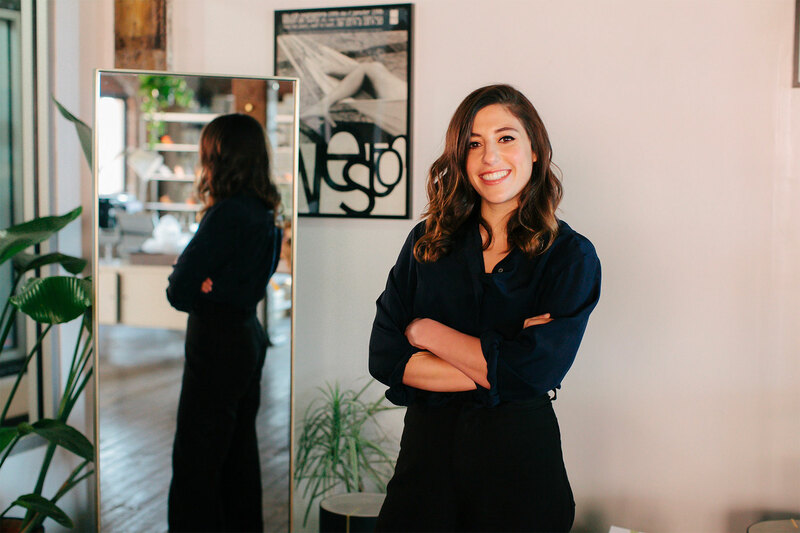 A fascination with recyclable materials drives Slash Objects founder Arielle Assouline-Lichten, the 2019 recipient of WantedDesign's American Design Honors, who unveils a dreamy new daybed at Boston gallery Salon. Here, we ask designers to take a selfie and give us an inside look at their life. Describe what you make: Objects, furniture, graphics, and spaces. The most important thing you’ve designed to date: The logo for Women in Design at Harvard GSD. Describe the problem your work solves: My work looks at discarded materials and strives to give them new meaning by using recycled or remnant materials but in an entirely new way. 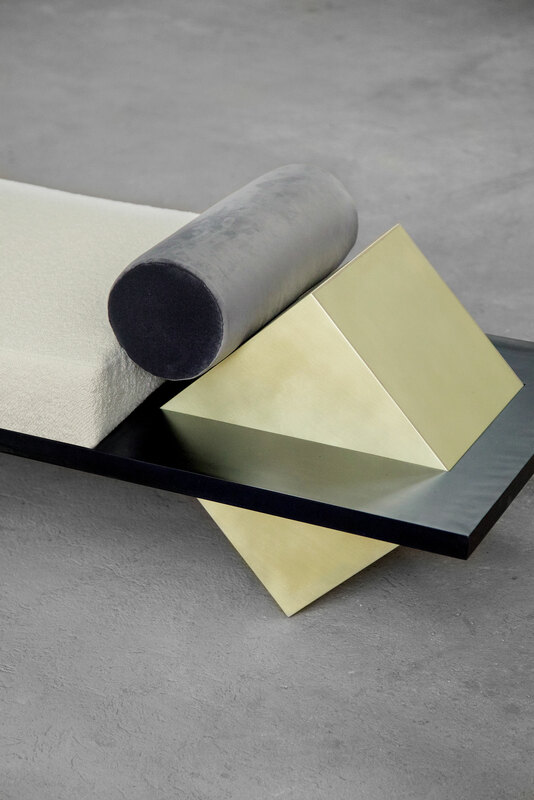 The materials drive the work forward, and we combine recycled rubber with long-lasting materials like metal and stone to create beautiful and unique pieces. I am also really interested in objects in space, and being able to impact the experience of existing in a place—so the work aims to be understood both up-close and from a farther vantage point. Describe the project you are working on now: I am working on a new collection of recycled rubber cast pieces that are made of shredded tires, used in block form to create beautiful and unexpectedly functional products. We are also working on new lighting pieces to expand our Coexist Collection. 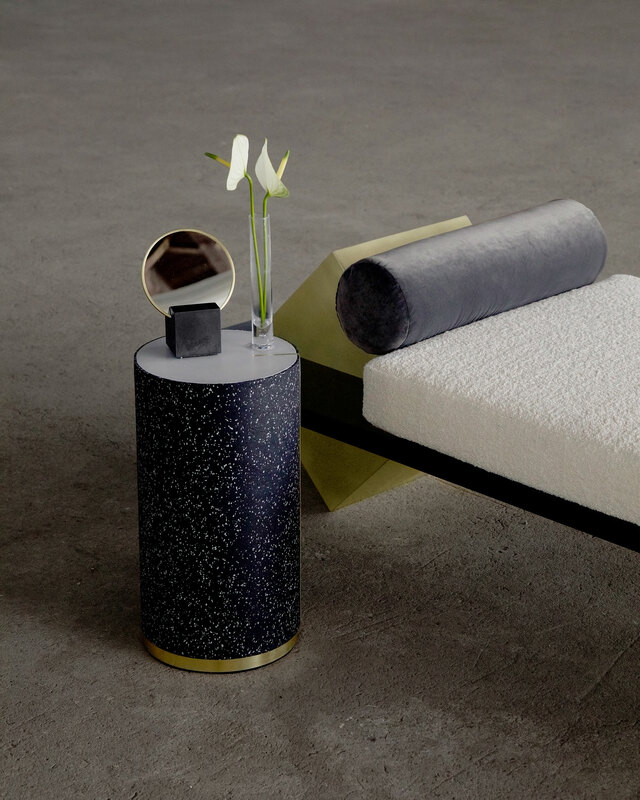 A new or forthcoming project we should know about: I recently completed a daybed which is one of my favorite pieces to date: marble, brass, steel, and wool boucle for Salon by Amanda Pratt in Boston. 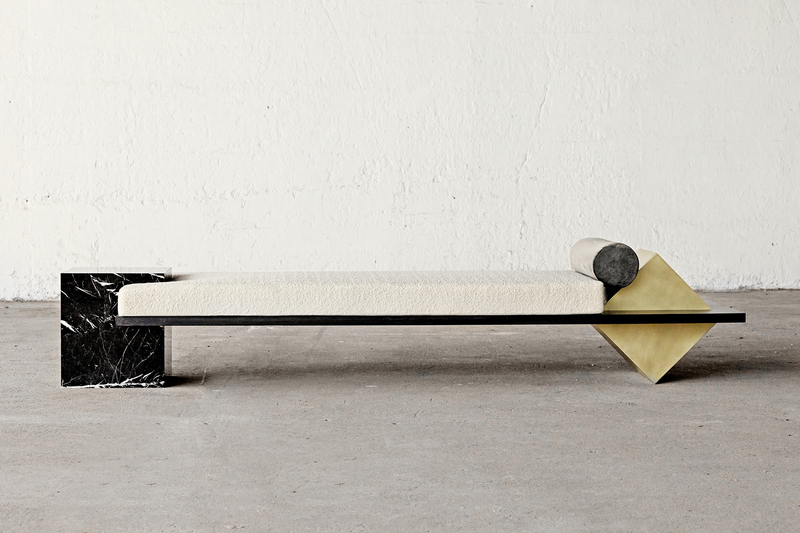 The piece is an extension of my Coexist Collection, and is a super minimal take on the classic chaise longue. It will be on view at WantedDesign in May during NYCxDESIGN where I’ll be showing a bit more of an inside-the-home feel with Slash Objects. What you absolutely must have in your studio: Water—I’m always thirsty! Also, sunlight and music. What you do when you’re not working: Yoga mainly. Traveling or biking around otherwise. 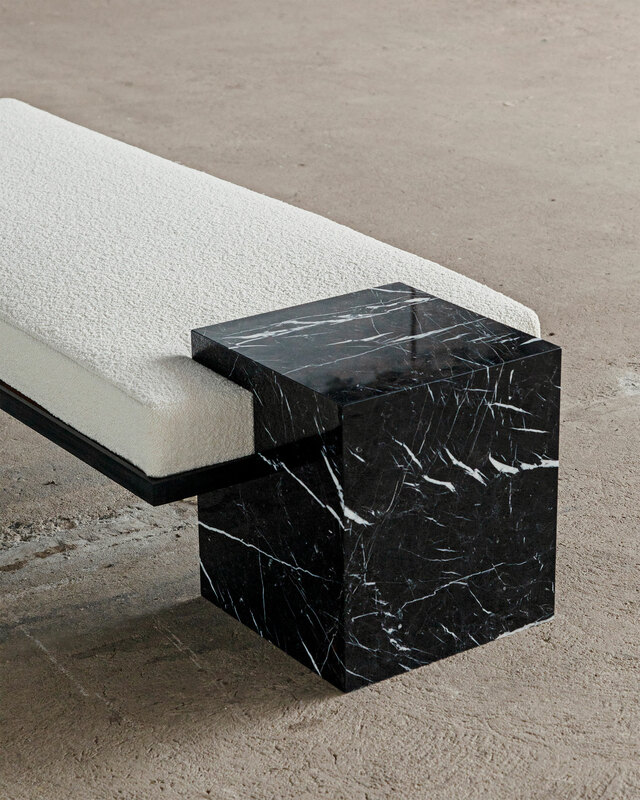 Sources of creative envy: Kazuyo Sejima, Nendo, Charlotte Perriand, and Eileen Gray. The distraction you want to eliminate: Endless telemarketer calls on my cell phone.